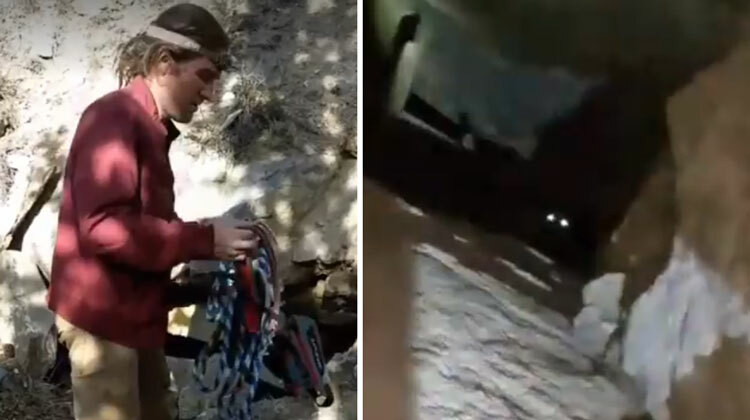 Earlier this month, Preston Gladd was hiking in the Beaver Creek area of Fairplay in central Colorado when he heard growling sounds coming from deep inside an abandoned mine shaft. He thought it was a wild animal and continued on his way. But those sounds kept nagging at him. But this time, what had once been indistinguishable growls had morphed into cries of distress. “I went into the mine with my headlamp on, I saw that there was a dog in this shaft that went straight down about 25 feet,” he recalled. “I knew I couldn’t get down there by myself.” Preston went back home and soon returned to the mine with his girlfriend, Portia Scovern, and his roommate, Gannon Ingels. Portia and Gannon lowered Preston 25 feet down to the bottom of the abandoned mine. After securing her in a harness, Portia and Gannon lifted her back to solid ground. There, she gobbled down some kibble and drank thirstily from a bowl of fresh water. Off she went to the vet, who, rather incredibly, found no significant injuries. 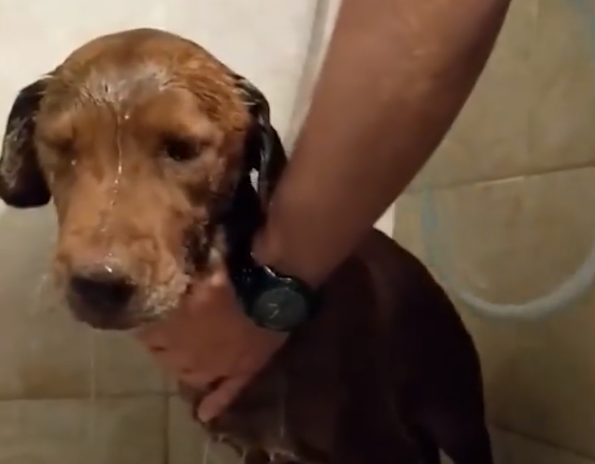 The trio then took her home, where she received some much-needed pampering, including a bath. 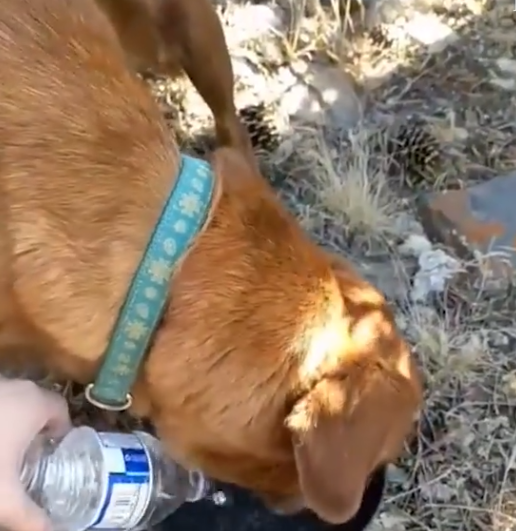 The dog – whose name is Cheyenne – wasn’t microchipped, but Portia posted the video of her rescue on Facebook, asking everyone to spread the word. Thanks to the power of social media, Cheyenne’s owner got in touch the very next day. According to Preston, Cheyenne had likely been missing for two weeks, after running off and disappearing on October 4. 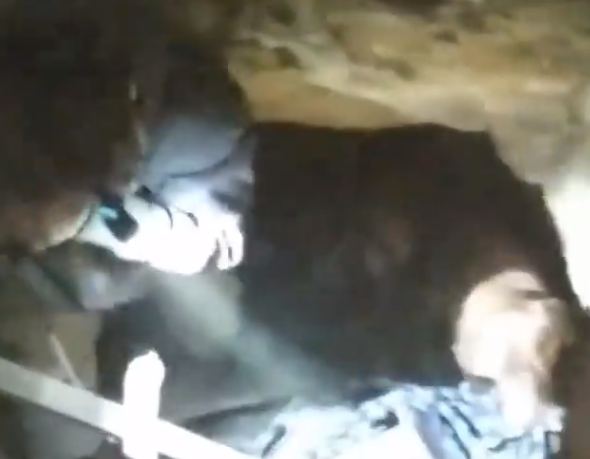 Watch footage from the rescue in the video below. Share to spread happiness that this pup found her way home. UPDATE:: Facebook helped find the owner before the sun came up!! 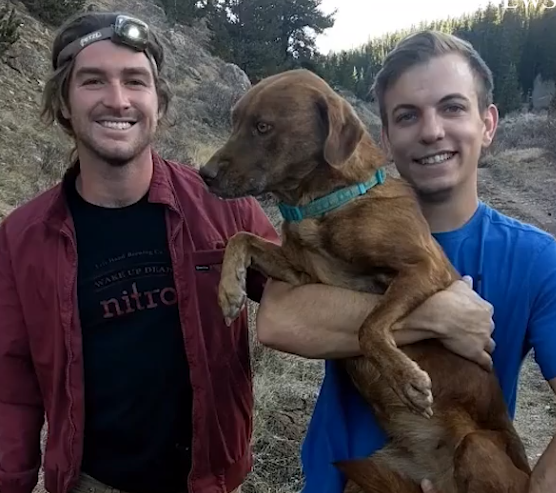 😍We rescued a doggy from an abandoned mine shaft outside Fairplay/Southpark, Colorado!! 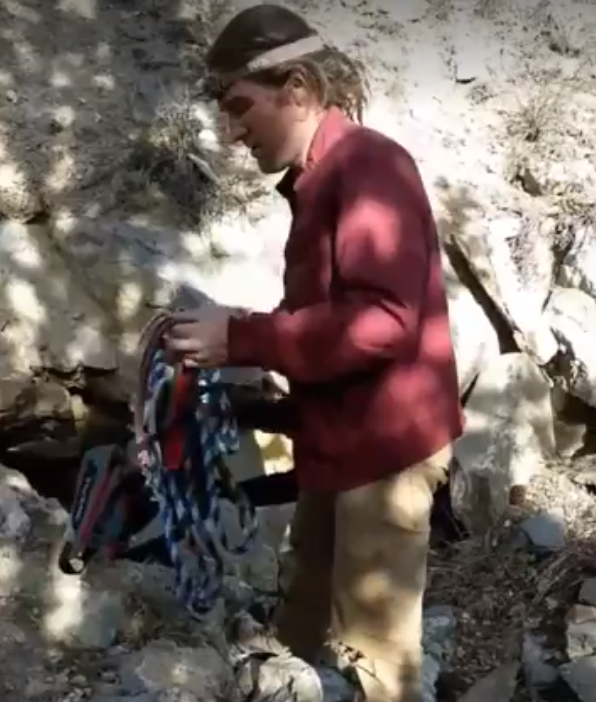 She is not reported missing at any vet or police station and she is not microchipped..She is underweight and dehydrated, but we are shocked that she has no injuries after a 20ft fall.The story gets worse.. Preston was hiking this area over A WEEK ago when he heard sounds coming from the cave. He thought it was a wild animal so he did not investigate. He came to hike here again today when he heard actual barking; At which point he called Gannon and I to come help.Please share this Colorado mountain people so we can find her parents! I emailed the newspaper as well.